Ed Wallace of CIO.com writes that Baby boomers aren't just reducing their debt and watching their spending, they are also re-evaluating the types of products they would buy in the future -- everything from luxury cars to their homes. Wallace warns, "Attention CEOs: Now, more than ever you can't afford to let sloppiness, misinformation, or poor service cost you any more customers." Wallace continues, because it is becoming harder than ever to separate customers from their dollars, customer care and the buying experience are more important than ever. The problem is that, at least if my experiences this year are anything to go by, that experience is so unrewarding that I, and many other consumers, may keep right on sitting on our wallets. How are you serving your baby boomer customer base? Have you made any changes to your customer service strategy in order to retain and earn new customers within this demographic? Laptop magazine recently released their own study about the quality of customer service among cell phone carriers within the USA. They found that overall, T-Mobile offered the best customer service based on customer service within the store, web, phone and overall satisfaction. As we get gear up for the 2009 NACCM: Customers 1st Event this year, we're going to be interviewing and getting to know the speakers and sponsors who will bring their perspectives on customer service to you. We recently sat down with Curtis Bingham, President of the Predictive Consulting Group. He will be participating in the keynote panel discussion, “The Ultimate in Customer Centricity: Chief Customer Officers Describe How Everyone Can be a Loyalty Leader” at this year's conference. Download the NACCM:Customers 1st Brochure to find out more about the program this year. Can you tell us how important it is that customer loyalty is a focus for the entire organization? Curtis: You know this is a really important point here; because, if you imagine going into a hotel, Jenny, it absolutely beautifully appointed, people greet you by name at the hotel, your check-in is flawless and your room has a spectacular view. However, your TV is broken, the image is snowy. So you call the front desk, they apologies profusely and they promise to send someone right up and you wait, you wait, you wait some more. Finally the repair man bangs loudly on the door, you open the door and he’s standing out there. He is disheveled, smelly and rude. He barges in past you, blames you for having to work late, and complains about hotel management while he’s fixing your TV there. If you think about your experience, the damage is just irreparable. This unprofessional behavior ruined your entire experience. And it may have caused the company to lose revenue. Because research shows that disgruntled customers tell three and thirty people about their bad experiences. And their online ratings and reviews reach thousands or millions more. All of those people who were exceptional at the front end of this particular process; their good work is undone by a single person. We live in an experience economy, where everything is all about the customer experience. Just one person can sabotage the work of 100s. What we learn by this little vignette here, is that customer loyalty needs to be everyone’s job. It cannot be the job of just one person or one group. How do you ensure that an entire corporation if focused on customer centricity? Curtis: This is a real challenge, and its one that we are working with right now with the chief customer officer council, one that we are working with a number of chief customer officers from around the world. On resolving this particular issue or addressing this particular issue. I think there are three things that have come out of these discussions. The first is modeled behavior from the top. The second is peer pressure; the third is rewards and incentives. I’ll talk about each of these for just a second. A couple of months ago I noticed that each of my three children were harrumphing in disgust if something didn’t go their way or they made a mistake. I was trying to figure out where they got it from. And one day I heard the tell-tale “harrumph” but without anyone around and I realized, shockingly, that it came from me. Similarly, employees will model behavior that they see in executives. The work ethic, the communication styles, the way that they run meetings, the way that they deal with difficult employees or difficult situations. And customer attitudes and focus is no different. Executives have to model behavior that shows how valuable customers are to the company. The second thing that we want to look at is peer pressure. We often look at peer pressure as a bad thing; but it can actually be quite a powerful force for good. One chief customer officer in the council said that culture cannot be changed it can only be adapted. And he has been very successful creating culture change, very dramatic culture change by using positive peer pressure. What he did was this; he made it popular to serve customers better than the person beside you or the person in the next division over. And the results from this person’s culture change have been stellar. He’s taking a very hard charging, hard driving culture that was all about products and sales and turned it into a customer centric culture. The last thing that is really important in getting everyone focused on loyalty is rewards and incentives. The bottom line is that you improve what you measure. You get what you inspect. And bottom line people are going to react in their rational self interest. If you measure in reward, then behavior changes; however, this type of change that is brought about through money, rewards and what not is not lasting. It should only be used after the previous two that we mentioned, the modeling behavior and then the applying of peer pressure. How have the roles of Chief Customer Officers changed the roles of customer centricity and loyalty today? Curtis:You know, it used to be, that as I mentioned before that we were in a product culture or product environment, where products were the most important thing. As products became more commoditized, then it became more an issue of service—how great was your service that followed on to a great product. Now service as become event more commoditized and we’re now in an experience economy and going back to our example of modeling behavior from the top -- the chief customer officer does exactly that. He/she sets the standard for the entire organization on how customers need to be treated. And more importantly, going to this experience economy here, they’re the ones that are able to map out the customer experience, from start to finish, cradle to grave. And all of the different touch points and look for these disheveled repairman to make sure that there aren’t any negative experiences, to work with your organization to find where these bad experiences are, these bad influences are and figure out how to change those in such a way that the company is still profitable and yet the customer experience is still stellar. So they can measure the customer experience and refine it across all of the traditional business silos to make sure that experience is very carefully planned executed measured and refined. So the chief customer officer here, in general, is the go to authority on customers. They are the ultimate authority for customer issues; they are ultimately accountable for customer issues. And as their, in their role as the customer executive, they are not only accountable to the customer to the customer but they are able to drive customer-centric change across your organization. So before the chief customer officer, unless you have a very customer centric CEO there is often no one in a position of authority that could take a customer issue that was outside of their division or department or business units and track down other processes that were causing a poor experience in other business units or other groups. So the chief customer officer is this glue that holds all of these different, disparate processes that impact the customers together and the one that can drive the strategy across all of these different processes and make sure that the customer experience is stellar, and needs to be in this experience economy. 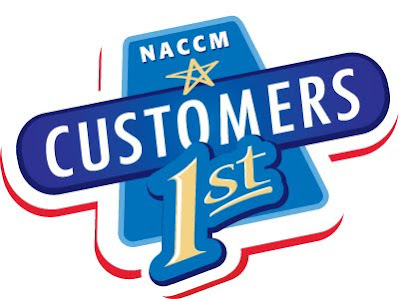 Can you tell us a little about the keynote panel you’re participating on at this year’s NACCM: Customers 1st Conference? Curtis: I am really excited about this panel here, because loyalty, relatively speaking is fairly new. There has been a lot of talk about it; there has been a lot of research done on it. And yet, bottom line is that it’s new. There are a lot of people out there experimenting with loyalty in different programs, different ideas, and different methodologies. For the first time, we’ve got a series of customer centric executives that are at the top of well known corporations that have been doing this for years. And they are sitting with everybody to share what has worked for them, what kinds of things that you need to do as a loyalty leader to get buy in from the executive board for your loyalty programs. What kinds of things do you need to do to ensure that your loyalty programs achieve the desired results? How to you prioritize different loyalty opportunities and possibilities and programs that you could implement? What do you need to measure, how do you measure these loyalty programs and how do you prioritize these so that you get the most out of them from your business results from your customers. There is just a wealth of information here from both a b2b and b2c perspective. Bob Olsen, was mostly recently from Intuit, and he was with GoDaddy, a very well-known internet hosting service. They turned their call centers from a call center from being a cost center to a revenue center. They’ve just done phenomenal things in driving customer loyalty and yet still dramatically increasing profitability. He worked with very closely with Bob Parsons in order to do that. Rudy Videll is a brilliant expert on customer loyalty; it’s a customer loyalty program that he developed while at Panasonic. I had a chance to talk to him in great detail in ways that you can measure and drive customer loyalty and some of the things that he’s talking about leading indicators and lagging indicators are brilliantly simple to execute. So, I’m very excited about that. The other panelist it Tammy McLeod from Arizona Power Systems and she has taken an approach much like Disney, going back to our question earlier, to make sure that loyalty is everyone’s job. She meets personally with every new hire, so that they understand how important customers are, that the customers are the ones who are signing the paychecks. And that whenever the repair people are out in the community, they are the face of Arizona Power, that they are expected to create a good experience, a loyal following from all of their other customers. So we have a broad variety of people that are on the panel and a huge variety of experiences here that I think is just going to be a fantastic combination, and people are just going to walk away from there with some very practical, tangible hands-on approaches. How can you make loyalty everyone’s job? How can you measure it and improve it? How can you make sure that you’re focusing on the right aspects of loyalty? I’m really excited.